The last known World War two Nazi in the USA has died. Jakiw Palij emigrated to the US in 1949. He claimed to have been working on his father’s farm for the duration of the war. In reality, he had been a guard at the Trawniki forced labor camp in Poland. Palij arrived in the US in Boston and lived a quiet life. He eventually earned US citizenship and bought a home in the Queens district of New York. In 2001, an investigator from the Justice Department’s Office of Special Investigations tracked him down and questioned him about his wartime activities. Trawniki shooters during the Warsaw Ghetto Uprising. 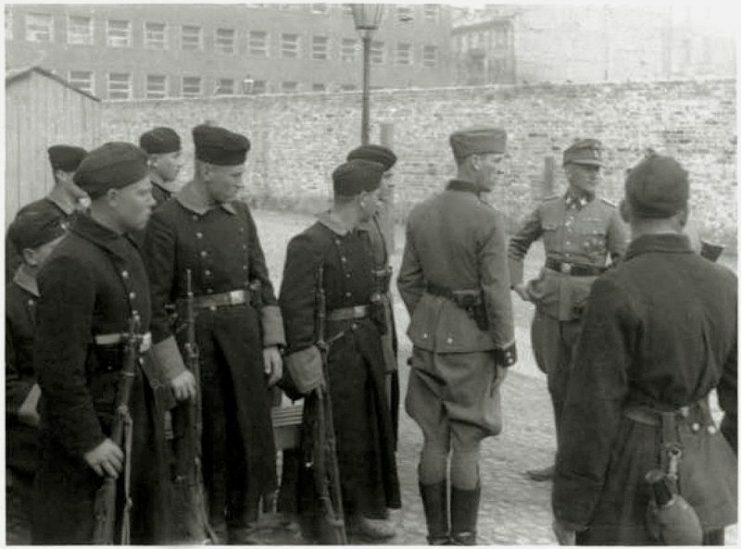 In a statement Jakiw Palij signed, he confirmed that he was trained by the SS at Trawniki but that he took part against his will and was not party to any killings at the site. He also confirmed that he was employed as a guard at the camp in 1943. As a result, Palij was stripped of his US Citizenship in 2003 and attempts began to extradite him to either Germany, Poland, or Ukraine. 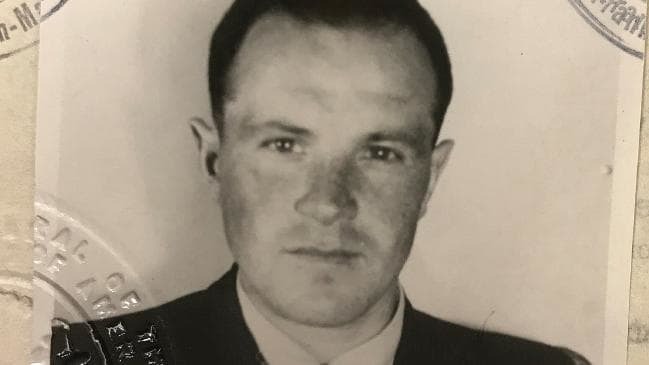 Since 2005, eight Nazi collaborators have died before the deportation order was able to be executed, so there was added pressure to ensure that the man seen to be the last of his kind did not also die on American soil. Karl Streibel, commandant of Trawniki concentration camp. 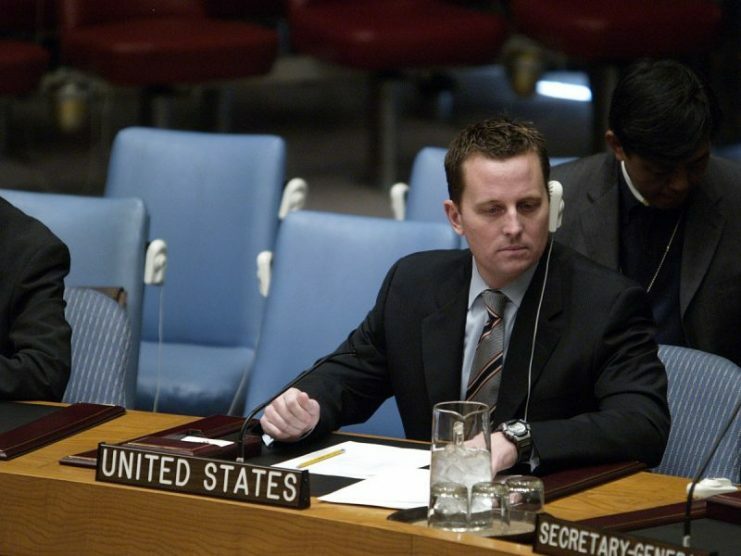 On August 21st, 2018, he was finally deported to Germany following intense negotiations by the US Ambassador to Germany, Richard Grenell. There had been mounting pressure from Congress and direct appeals to the then Secretary of State Rex Tillerson and President Trump. After Palij’s arrival in Germany, the state confirmed that it was not seeking to prosecute the former labor camp guard. This was due to the lack of evidence relating to any alleged involvement in the atrocities carried out at Trawniki. Jens Rommel, head of the Central Office for the Investigation of National Socialist Crimes, confirmed that it was simply a matter of not being able to establish the exact circumstances or level of involvement by an individual. ‘By what action, by carrying out what duty, by what function did the individual facilitate this murder? That is what we have to prove,’ he said. Between 1941 and 1944, when Palij was at Trawniki, more than 5,000 men received training from the SS at the camp. Deployment in the operation of the so-called “Final Solution” was a key function of Trawniki-trained guards. 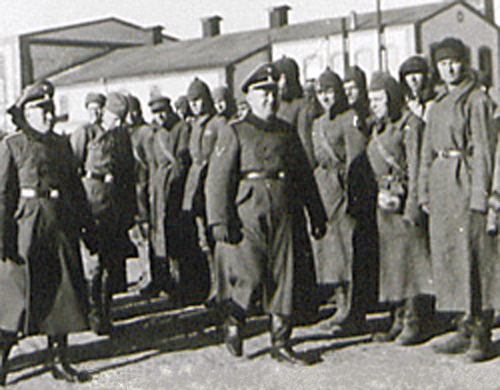 SS personnel at the Bełżec extermination camp, 1942. The SS was the leading Nazi organization involved in the extermination of 6 million Jews. 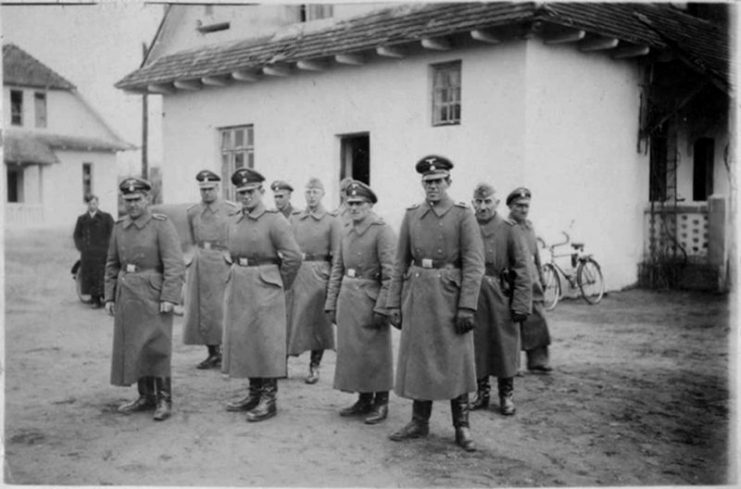 Trawniki men provided the guard units for the killing centers at Belzec, Sobibor, and Treblinka. They also went on to serve in the SS Death Head units at Auschwitz. Following a prisoner uprising in the Sobibor death camp, Himmler ordered the murder of all of the remaining Jews in the district. Six thousand Jews were shot dead at Trawniki and neighboring Dorohucza on November 3rd, 1943. 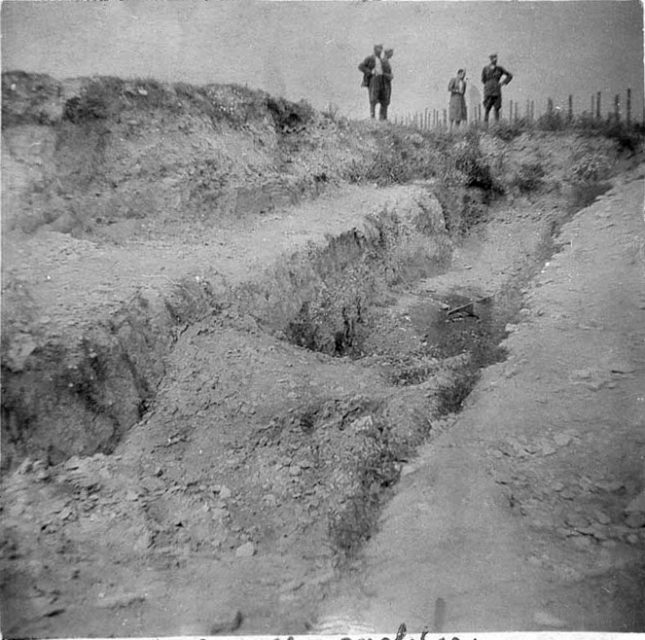 One of many mass graves of the Nazi German Operation Harvest Festival, 1943. The Trawniki guards called in a small number of Jewish laborers from Milejow to burn the corpses and bury the ashes before they too were shot dead. The Soviet advance forced the Germans to abandon the site in July 1944. After the war, it was discovered that a number of camp officers had absconded. Some were brought to justice, others either committed suicide or were recorded as killed in action. A German court in Dusseldorf convicted and sentenced former Trawniki camp guard Franz Swidersky to life imprisonment in 1971.